24'6" Flat Deck Length with 5' Beaver Tail. 3 Heavy Duty Tor-flex Axles. Tool Box With Lid For Tie Down Storage. Big Tow trailers are designed for durability. 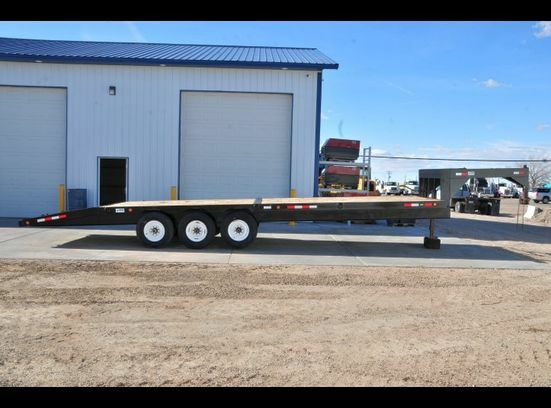 The heavy-duty construction of a Big Tow trailer will give you years of service. They are built using quality components like quality-grade steel, Dexter axles, white oak wood decking and quality Diamond Vogel paint.